President Donald Trump doubled down on his words of support for conservatives on social media – a group he says has faced "big discrimination." 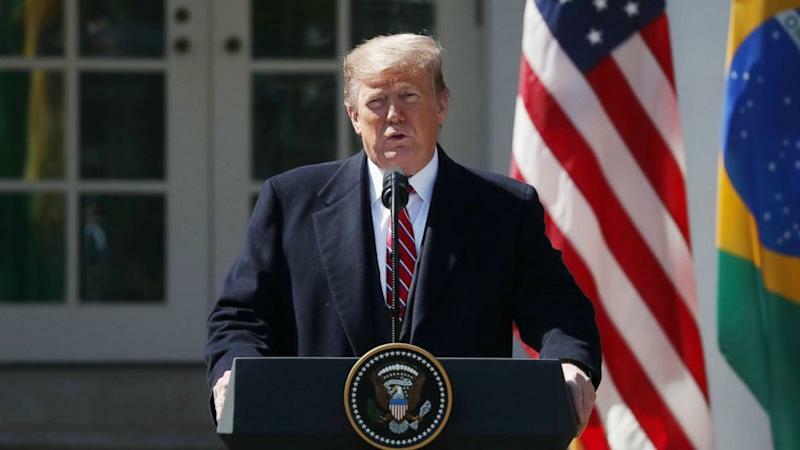 "Things are happening, names are taken off, people aren't getting through, you've heard the same complaints and it seems to be if they are conservative, if they're Republicans, if they're in a certain group there's discrimination and big discrimination," Trump said. 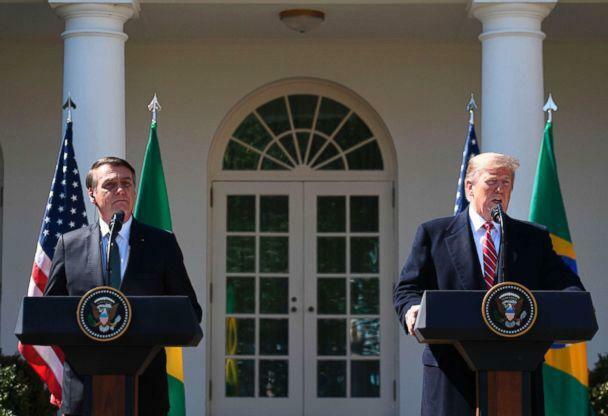 "I see it absolutely on Twitter and on Facebook which I have also and others," Trump said during a joint press conference in the Rose Garden with Brazilian President Jair Bolsonaro on Tuesday. "I get to see what's going on first hand and it is not good, we use the word 'collusion' very loosely all the time and I will tell you there is collusion with respect to that because something has to be going on and when you get the back scene, back office statements made by executives of the various companies and you see the level of, in many cases, hatred they have for a certain group of people who happen to be in power, that happen to have won the election, you say that's really unfair," Trump continued. "So something's happening with those groups of folks who are running Facebook and Google and Twitter and I do think we have to get to the bottom of it." Twitter says it enforces its rules "dispassionately and equally for all users, regardless of their background or political affiliation." His comments come on the heels of a lawsuit by Rep. Devin Nunes, the former chairman of the House Intelligence Committee, who is suing political strategist Liz Mair, Twitter and two twitter accounts for negligence, defamation, insulting words and civil conspiracy. The lawsuit was first reported by Fox News. In the complaint, Nunes says Twitter is "knowingly hosting and monetizing content that is clearly abusive, hateful and defamatory – providing both a voice and financial incentive to the defamers – thereby facilitating defamation on its platform." "The accounts, known as @DevinNunesMom and @DevinNunesCow often pushed content that Nunes' lawyers say was "for the sole purpose of attacking, defaming, disparaging and demeaning Nunes. Between February 2018 and March 2019, Twitter allowed @DevinNunesMom to post hundreds of egregiously false, defamatory, insulting,abusive, hateful, scandalous and vile statements about Nunes that without question violated Twitter’s Terms of Service and Rules, including a seemingly endless series of tweets that falsely accused Nunes of obstruction of justice, perjury, misuse of classified information, and other federal crimes," the complaint continued. The lawsuit alleges Twitter took no action, while Nunes was being defamed. “As part of its agenda to squelch Nunes’ voice, cause him extreme pain and suffering, influence the 2018 Congressional election, and distract, intimidate and interfere with Nunes’ investigation into corruption and Russian involvement in the 2016 Presidential Election, Twitter did absolutely nothing,” the complaint reads. Nunes came under fire by some Democrats for the way he ran the House Permanent Select Intelligence Committee. The suit says Mair worked with two parody accounts, @DevinNunesMom, which is now defunct, and @DevinCow, which they allege she once suggested others follow. On Twitter, Mair has said she is not commenting on the lawsuit. A Twitter spokesperson also told ABC News they are not commenting on the suit. A Nunes spokesperson confirms the report but declined to comment any further, simply pointing back to the Fox News report. Republicans in the past have complained about so-called "shadow banning" - with the president tweeting about it over the summer. "Shadow banning" is when a user's content on social media is not readily available to other users, giving the impression that they are banned from the site. Twitter has said it does not employ the practice. "We do not shadow ban. You are always able to see the tweets from accounts you follow (although you may have to do more work to find them, like go directly to their profile)," the social media site wrote in a blog post last year. "And we certainly don’t shadow ban based on political viewpoints or ideology."